San Diego might as well be synonymous with the word taco. 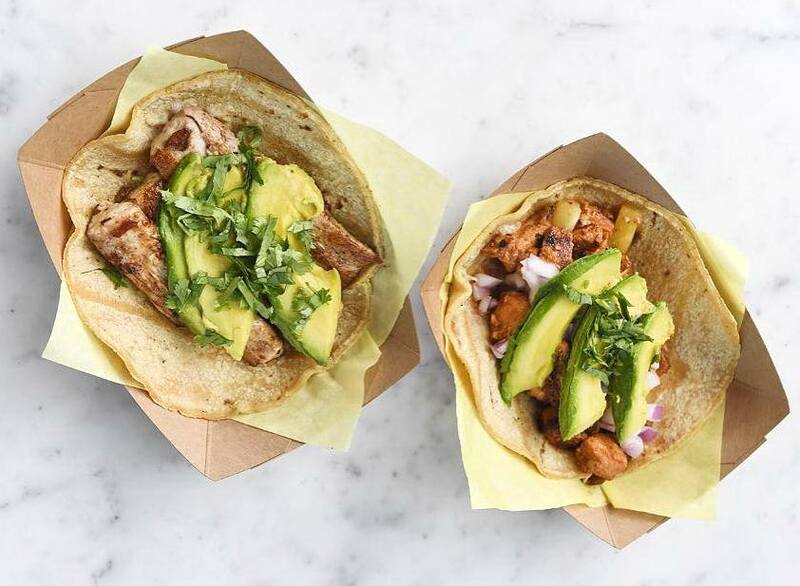 There are about as many taco shops as yoga studios in the city — and that’s saying a lot. While you may be picturing greasy hard shell tacos, that’s simply not the case. 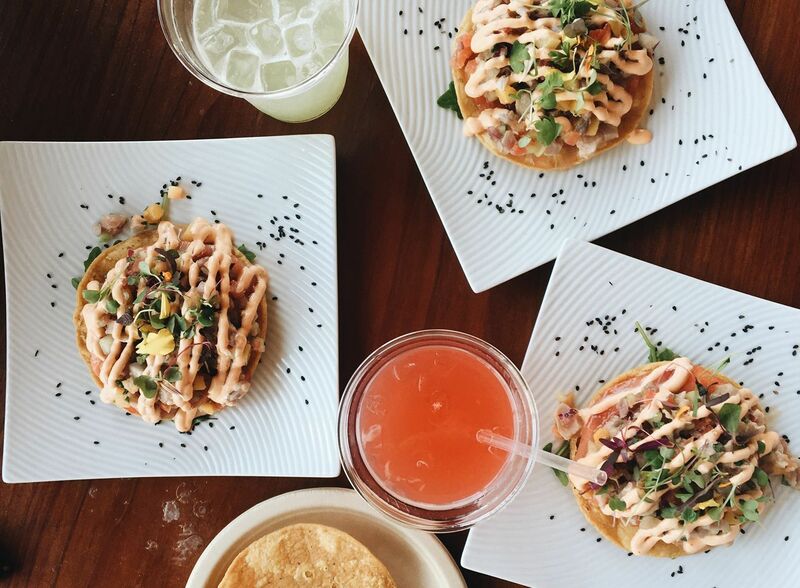 The city is bustling with healthier taco options and compiled a list of our favorites. So the next time Tuesday comes around, finding a healthyish taco spots won’t be problem. 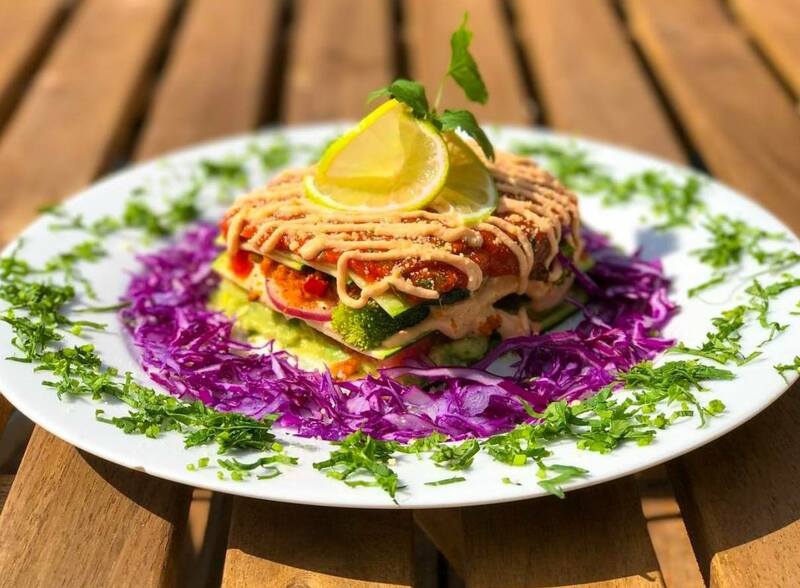 Peace Pies in Encinitas and Ocean Beach serves up the best raw, vegan, gluten- and soy-free eats around town. 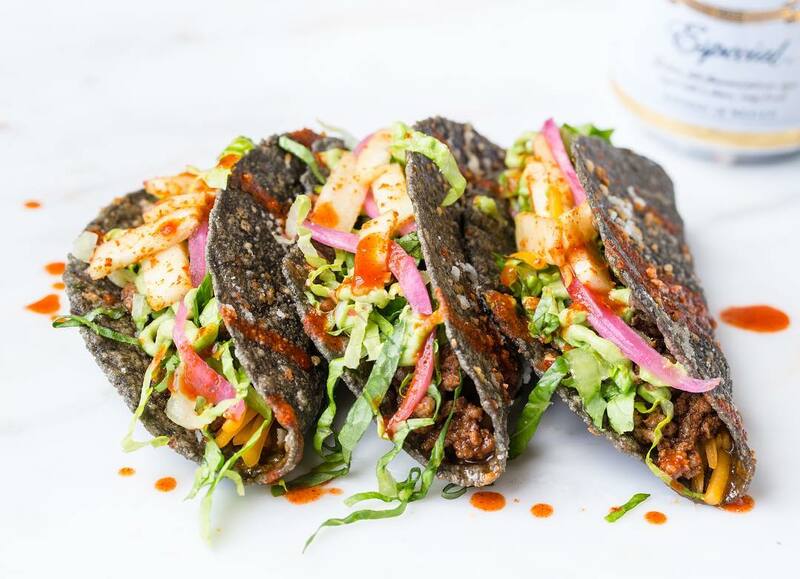 And, now, they’ve added their health-conscious twist on street tacos to the menu. Peace Pies’ Voltaire Street Tacos are made with flax and zucchini taco shells and filled with walnut meat, guacamole, salsa, and vegan cheese. 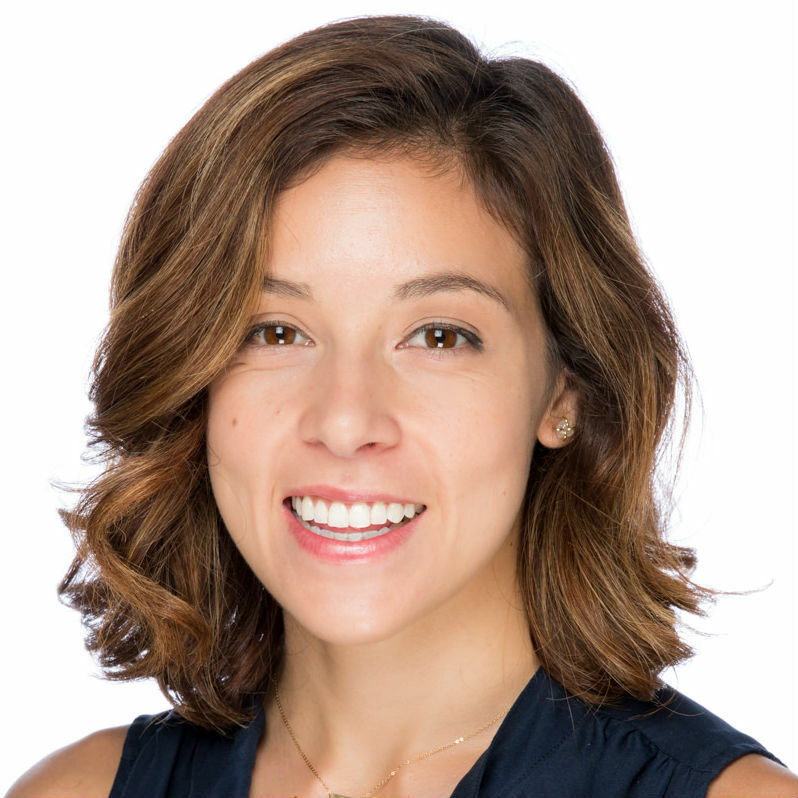 The health-nut haven also practices a no-waste policy, so you can munch on Taco Tuesday knowing you’re practicing habits that are good for the environment, too. 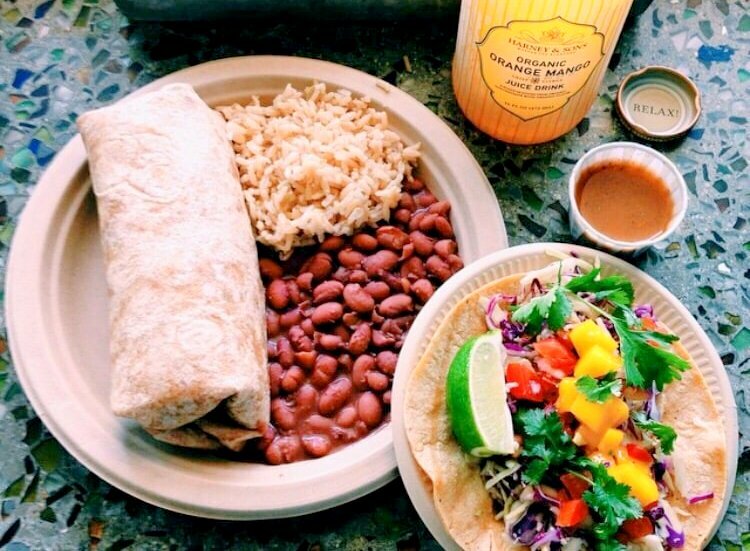 Haggo’s Organic Taco in Leucadia is all organic, all the time. This mouth-watering joint serves up the freshest, locally-sourced produce and sustainably-raised beef, fish, and chicken. Sign us up! The winner of our hearts (and bellies)? The Cousteau Fish Tacos packed with sautéed and seasoned catch of the day, organic cabbage slaw, organic cumin-lime crema, organic mango salsa cruda, and cilantro. 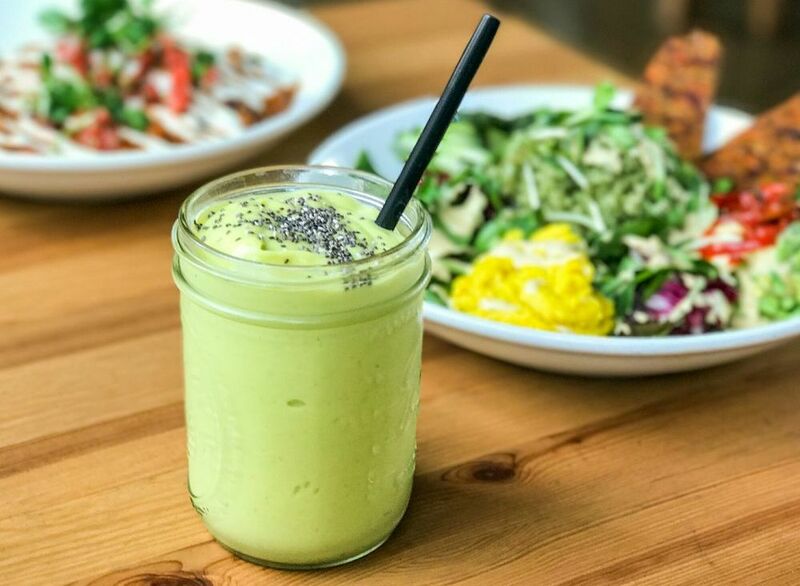 Whether you are downtown near Seaport Village or soaking up sun in La Jolla, Puesto has your gluten-free #eeeeeats covered. Three of the restaurant’s most popular tacos—the Chicken Tomatillo, carnitas, and mushroom—are all guaranteed to be made san gluten. Our pick? The mushroom, it’s made with crispy melted cheese, garlic braised seasonal mushrooms, stone fruit jalapeño salsa and pickled onions. We’re drooling just thinking about it. 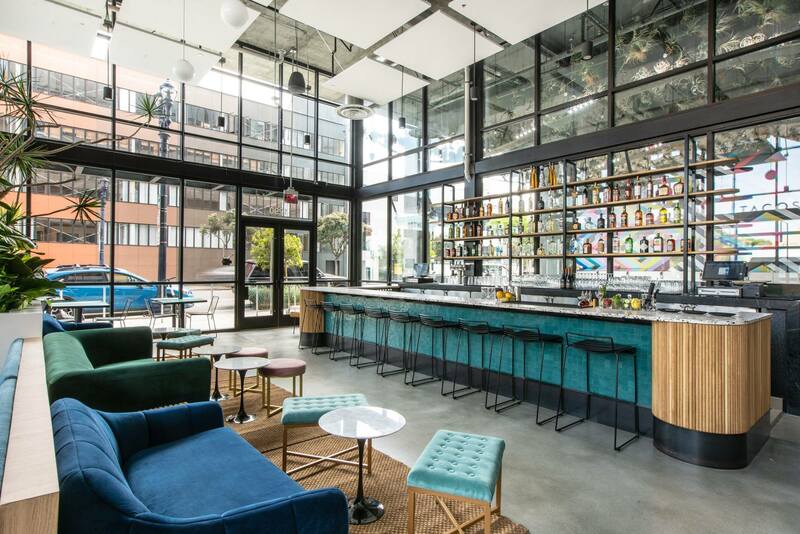 LOLA 55 has hit the Downtown San Diego scene full force with a fresh taco menu loaded with local and organic ingredients that diners can feel good about eating. 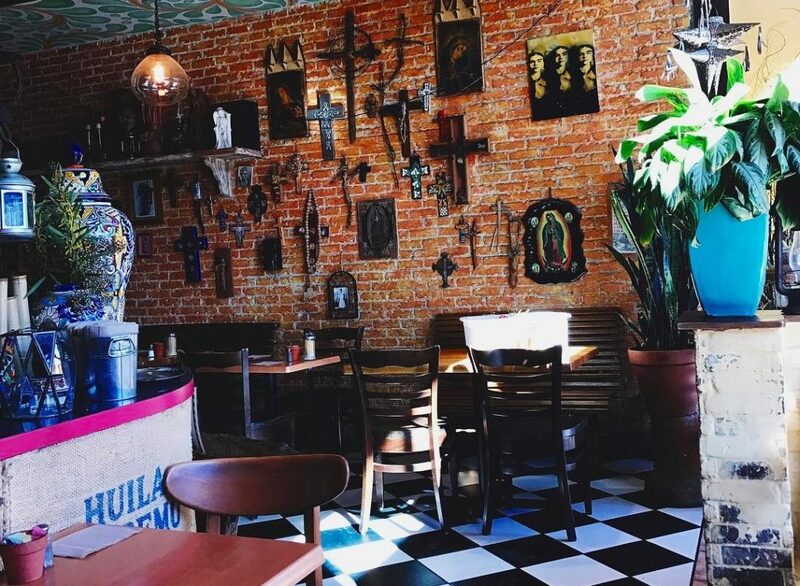 The retro-chic restaurant serves up handmade tortillas and over 15 organic sauces. And while every item on the taco menu is drool worthy, our favorites are the Achiote Pork Belly and Soyrizo/Sweet Potato. 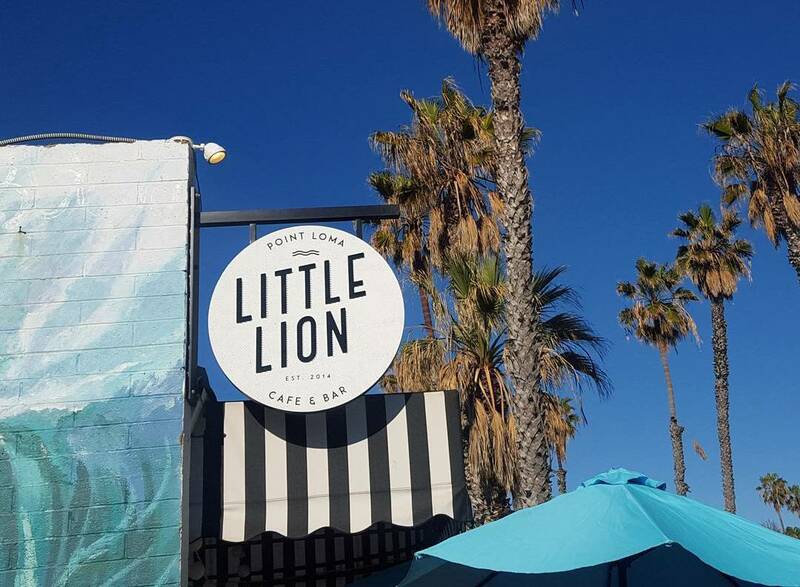 Little Lion Cafe is a hidden gem near Sunset Cliffs that serves up all the feel-good food. Our favorite item on the menu? The plant-based tacos filled with sweet potatoes, roasted tomatillo guacamole, and black beans. It’s all topped with a cashew cream sauce that is simple spec-taco-ular. Vegan and vegetarian Mexican food? Yes, it’s a thing! 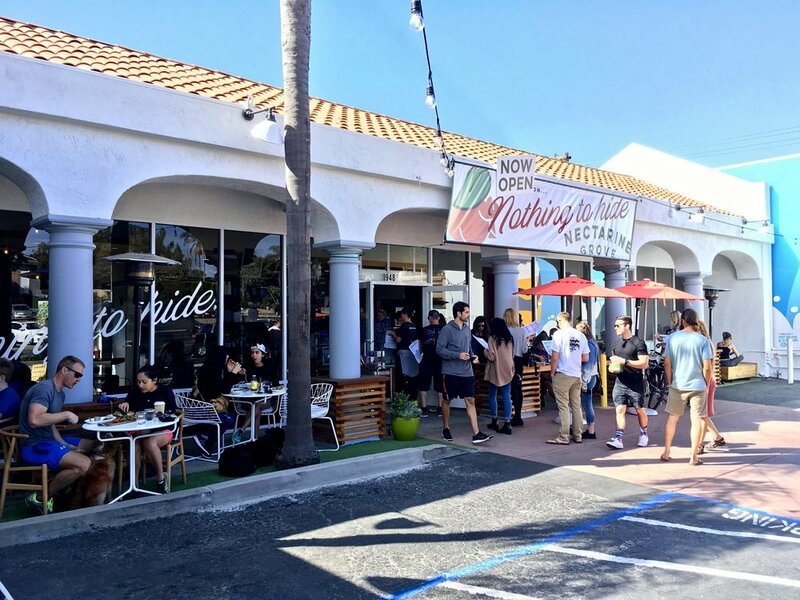 Ranchos Cocina in North Park and Ocean Beach brings the best of both worlds to San Diego — dishes designed for herbivores bursting with authentic Mexican flavor. We recommend the Chipotle Seitan Tempeh taco or the Rolled Tofu tacos with a big side of their spicy salsa. Pokéz is a long-time staple in Downtown San Diego for a reason. The restaurant transforms traditional Mexican dishes by switching up a few key ingredients — without sacrificing flavor. Instead of lard, Pokéz opts for vegetable oil. Instead of authentic Mexican rice and beans, they use 100% vegetarian, low-sodium options that have zero artificial ingredients. Did we mention that all the produce is organic? See you there. Who said tacos are made for dinner? We’ll take them any time! 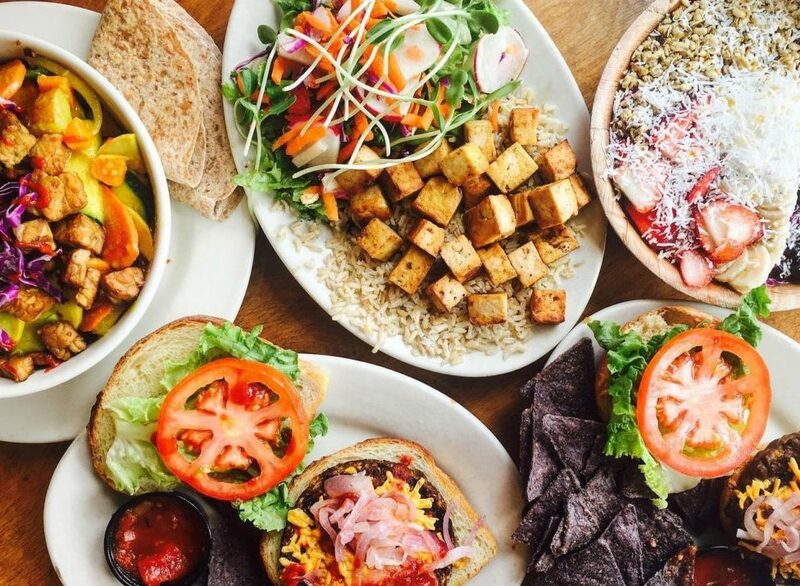 Leucadia’s paleo and gluten-free eatery Nectarine Grove understands that. Here, they serve up breakfast all day long, so naturally, our favorite item on the menu is the Breakfast Taco. Served on a grain-free tortilla and stuffed with eggs, guacamole, rosemary potatoes, cheddar, and salsa, it’s the perfect way to fuel up for a long day at the nearby beach. 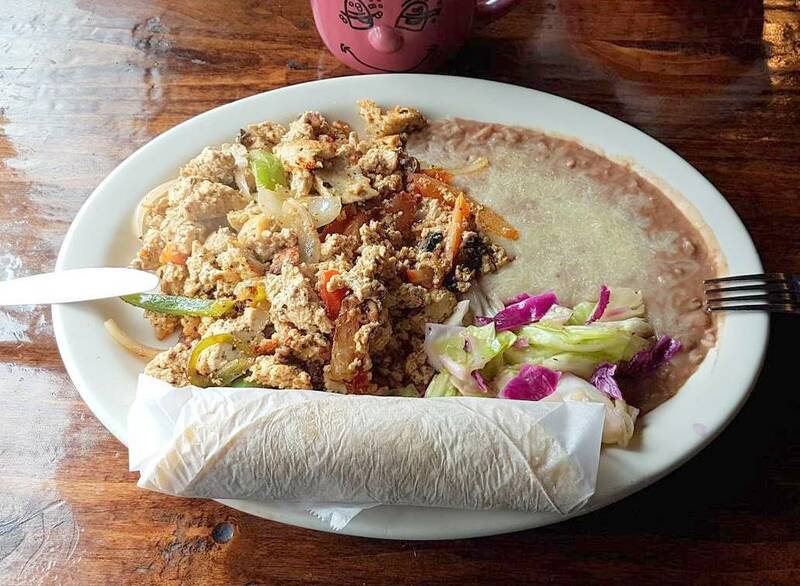 If breakfast tacos just aren’t your thing, though, Nectarine Grove still has you covered with their El Torito and Falafel tacos. Nothing beats refueling after a perfect sunset surf sesh at Swami’s with tacos at Lotus Cafe and Juice Bar. Trust us. The cafe’s non-GMO corn tortillas are topped with all organic ingredients and every option can be made vegan. We’re partial to the tempeh tacos, if you’re asking. Fitt Tip: all their tacos come with chips and salsa! Ocean views and tacos — name a more dynamic duo. We’ll wait. Trilogy Sanctuary, an organic, vegan cafe, agrees with us. Which is why they serve up tacos ranging from Mushroom Barbacoa to falafel on their rooftop patio. Really, it doesn’t get more San Diego than watching the sun set over the Pacific Ocean with a guilt-free taco in hand. This wouldn’t be a true San Diego list without a shoutout to Oscars Mexican Seafood. With five locations, this taco stop is a true San Diego staple. 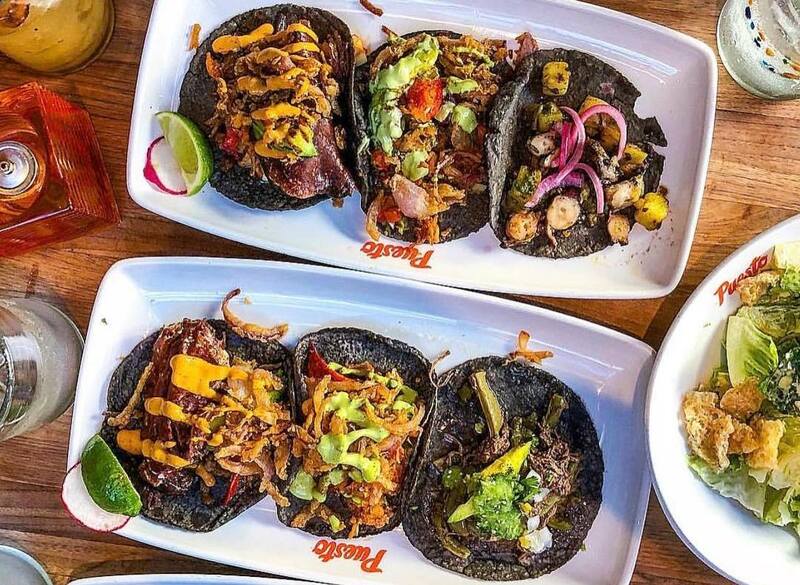 Oscars serves up the freshest, local seafood in their authentic tacos — and every item can be grilled, instead of fried. Fitt Tip: save room for a side of fresh ceviche.